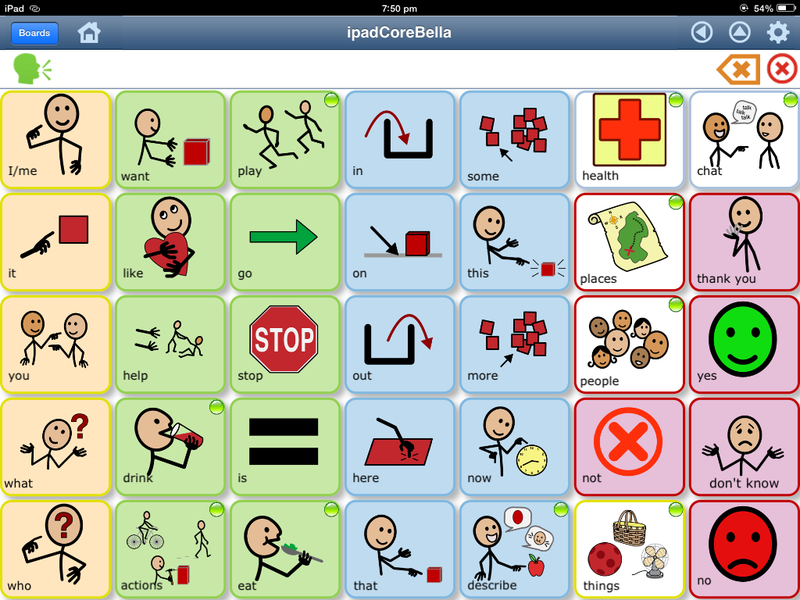 Lately I have made the jump to a new AAC (Augmentative and Alternative Communication speech device). Although I do not have to use my AAC to get through most days, when I do need it I definitely need one that works effectively. It is easy to get frustrated with an AAC. When it is too complicated to use or if it does not have that things you wish to say. I have used several AACs. 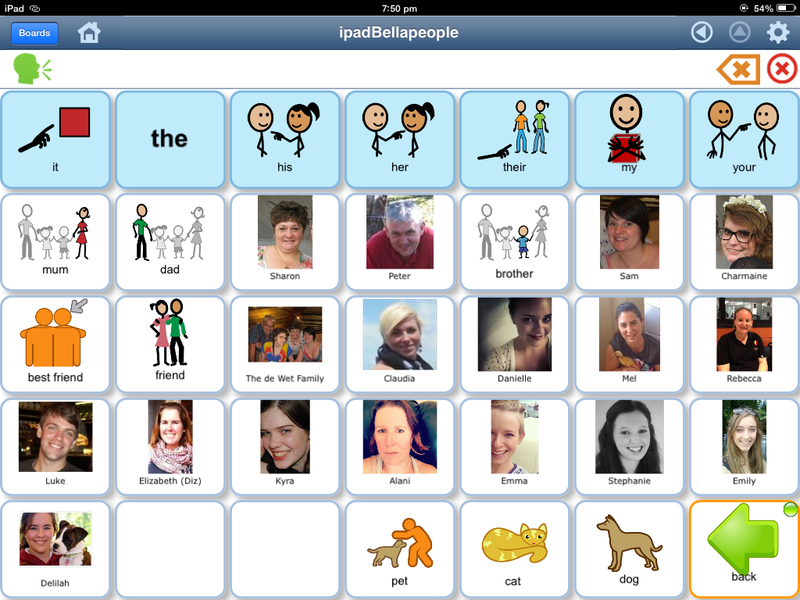 For my own personal use, I have always used AAC apps for the iPad or iPhone. One that I have used for a long period now is "Pogo Boards". You can share the boards with friends and the world very easily by saving the folders to global folders. This can be a very useful feature. You can use the app on multiple devices. With my subscription, I could log into 4 devices at one time. I only ever logged into my iPhone and iPad. I love any device which uses Text-to-Speech features.Anything where speech doesn't have to be recorded is a good app in my book. Unlike Proloquo2Go, you have the ability to display a different message from that which is being spoken This was useful particularly with pronunciation. PogoBoards use SymbolStix and have thousands of icons available. Pogo Boards can be used for other devices not just for iPad and iPhone. You can also print out the boards you make and use it as a low-tech devices. The staff are really friendly and quite prompt with their replies. They are also very helpful with providing you with other resources. You can only edit Pogo boards from your computer. You cannot edit it from your speech device. It is subscription based. This was a big issue for me. The subscription is not much really, and you can pay monthly, yearly, every two years or every three years. I don't have much money. I seriously don't, I couldn't afford a yearly subscription so I had to go with a monthly subscription. Although it wasn't a lot, it just kept adding up for me and I had to say no. It is a bit faulty. Sometimes, the system would not let me log into my iPad or iPhone. It would say I had "exceeded my amount of maximum log ins", which wasn't true. It was an easy issue to fix, with a quick email to the the staff. But it was a pain nonetheless.